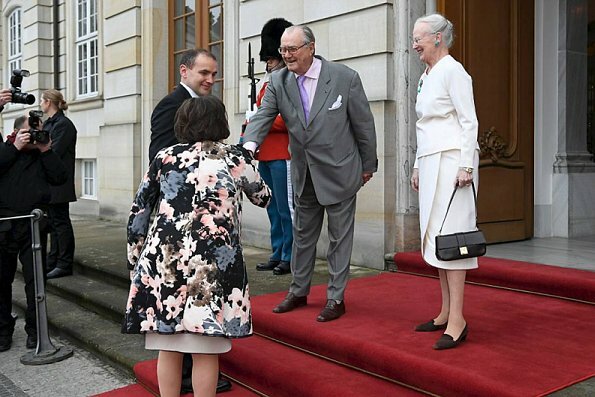 Icelandic President Guoni Jóhannesson and his wife Eliza Reid and Queen Margrethe attended the presentation of The National Gift - The Complete Sagas of Icelanders translated into Danish in the Danish Royal Library in Copenhagen. In all honesty, they should retire. They look old and tired (said with respect), and deserve a retirement together. However I believe the Queen is very stubborn about the topic. She should imitate Albert of Belgium, Beatrix of the Netherlands, Juan Carlos of Spain. However, I can't see Queen Elizabeth doing that, and I pity Charles, King-In-Waiting forever. Consider this scenario: even if Queenie were to die tomorrow, Charles will spend a lot less years as king than as heir to the throne, let's say a dozen years, then there is William, who would be 47 when accessing the throne, reign for 40 years, thus George would reign in 52 years. Sounds silly, yes? LIzzie, are you Nostradamus of 21 century? 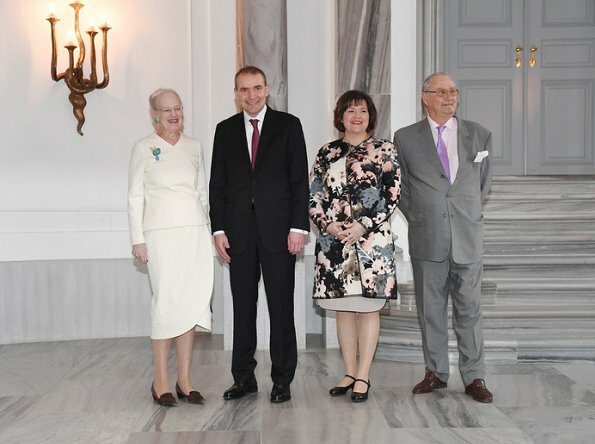 Anyway, if Henrik insists on being on parade, he should get better tailoring - quickly. Can someone help the poor guy? Sure, I can donate one of my husband's suits. He looks comical - Maybe protocol demanded that he be "on parade"
I think Henrik is "on parade" i.e. out of retirement when it suits him to be so. 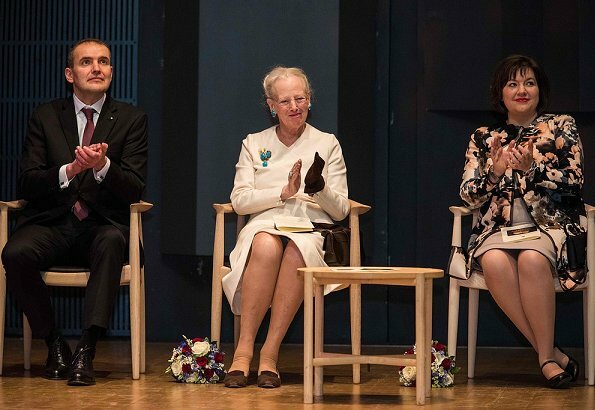 I hate to say it, but I don't think Queen Margrethe would like being out of the spotlight, which is why I think she would be reluctant to abdicate. I get the feeling Her Majesty rather likes the attention she receives. On the other hand Queen Elizabeth swore an oath to commit her life to what was then the British Empire, which is why I doubt she will abdicate in favour of Charles. Would the Queen possibly consider abdicating if Charles was more popular? Would the Queen consider abdicating in favour to William, something I doubt Charles would ever agree to as he has spent his whole life as “King in waiting”, unlike Prince William. While Prince William has received criticism for his supposed exploits in Search and Rescue, he has at least pursued activities outside Royal life. Camilla also plays an interesting role. Her popularity has risen, however Diana always lurks in the background, even more so this year, the 20th anniversary of her passing. 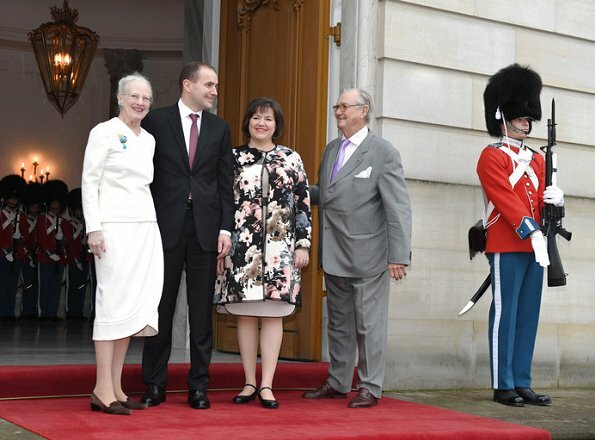 There is something in what you say about Margrethe. I never thought of her as someone who likes the attention but now that you say... As for Henrik, I'm beginning to think there must be some truth in certain old rumours about him. His behaviour and his tastes in clothing surely are a strong argument to support those rumours. Re QEII, I have absolutely no doubts: she'll never abdicate unless she (and she alone, Prince Philip not included) is irrevocably unable to fulfill her duties. And I see no chance Charles would step aside for William to take the throne. By the way I think this is a good thing and I doubt anyway William would want to be king right now. And as much as I appreciate Diana and her memory I think Camilla is a much more stable and reliable person for the role of a monarch's spouse. I think we have never seen poorer siting suit than Prince Henry has here. Agree about "not wanting to leave the spotlight"
I suppose that's what happens naturally when you are Number 1 basically your whole adult life. Fred will NOT make a good King in my opinion. Seems utterly uninterested most of the time.